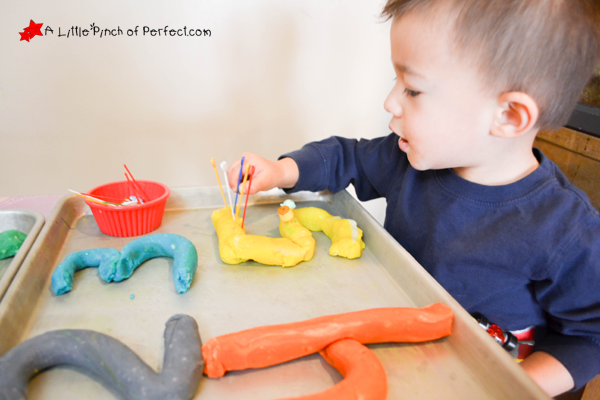 The kids love playing with play dough so using it to Learn Numbers and practice counting was a winning Learn & Play Activity in our book. 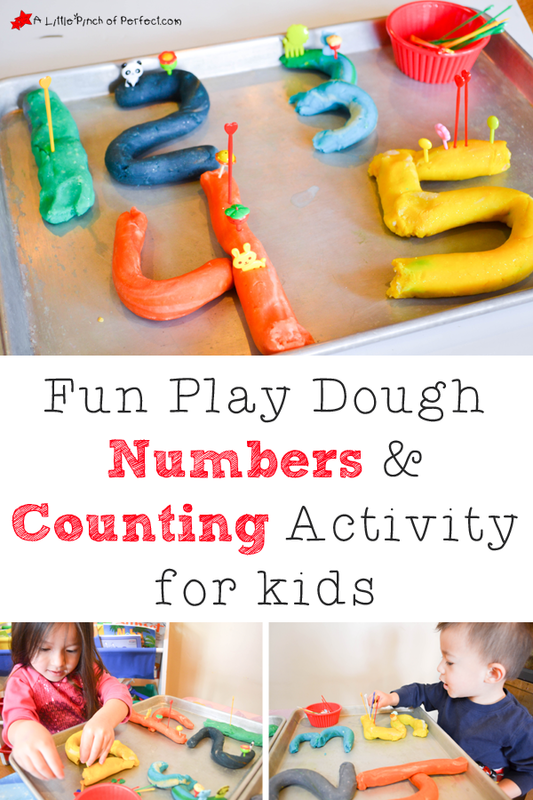 This activity is simple to set up and a great way to expose young kids to numbers and lets them visually see the difference in amounts. 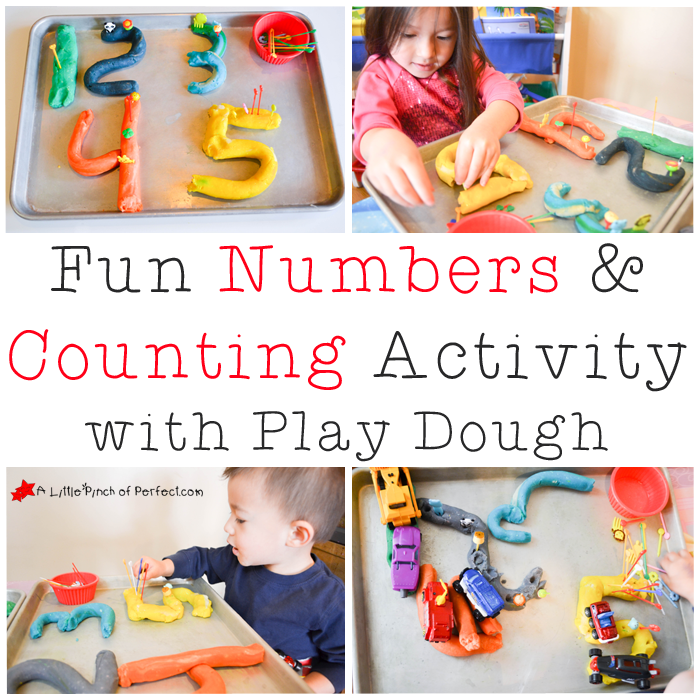 The activity can be adapted for different skill levels by making smaller or larger numbers. Need some play dough? 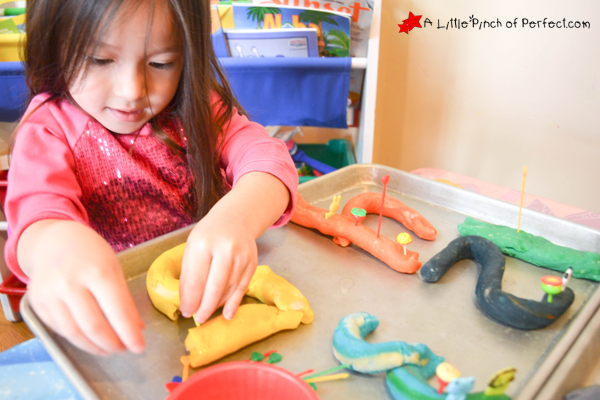 Try The Best Homemade Play Dough Recipe that we love to make! The kids might look a little younger in these pictures because we did this activity some time ago and I finally found the time to share it. I only have so many free hours after the kids go to bed… if only there was more time in the day or I didn’t have to sleep :). 1. 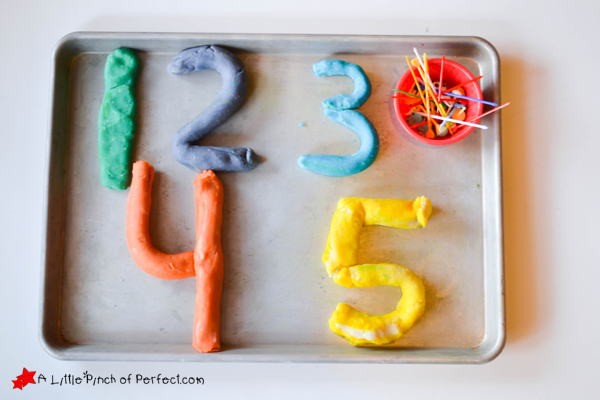 Roll out play dough and make numbers. Give the numbers and toothpicks to the child on a tray. 2. 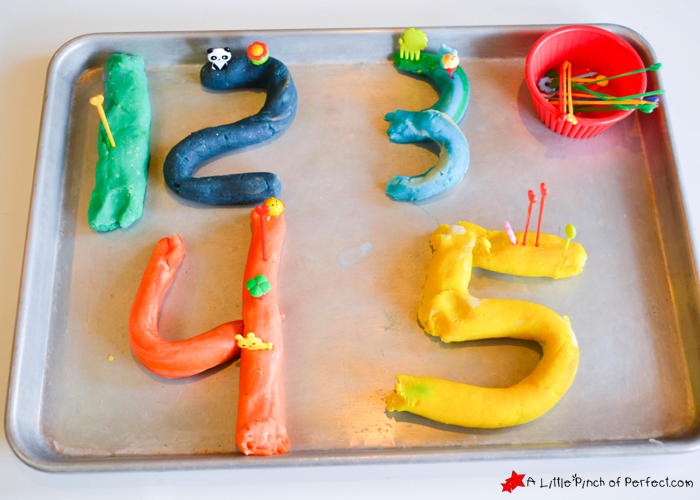 Have child count the amount of toothpicks that matches the play dough number or you can count them together. When we were done I let the kids play. Little Tiger added lots of toothpicks to her numbers then poked them with her finger giving them dots. 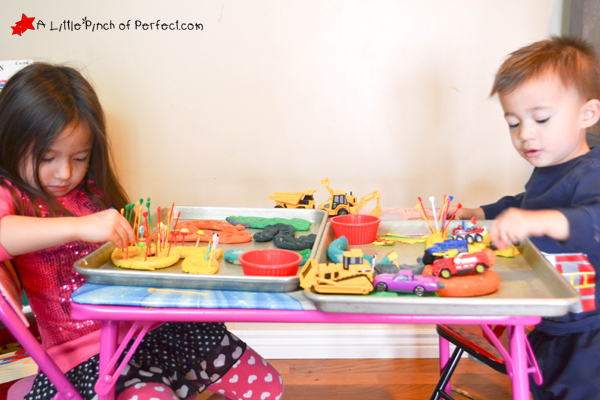 Little Dragon introduced cars and pretended the numbers were roads. I would repeat the name of the number as they played with it (“The car is driving so fast on the number 2”). Eventually the numbers didn’t look like numbers anymore but that’s okay because they were having fun and they had plenty of time during the activity to look at the numbers (learning is done with repeated exposure). Thanks for learning with us today! Please click here to sign up for our weekly newsletter and join us by following on Facebook, Pinterest, Twitter.